While I didnt get to attend the meeting I cant say I'm suprised by this either, considering the low car counts in the Pure Stock A division at the tail end of last year. I think there are some former Charger drivers that could really benefit with running with some of the more expierienced guys that ran A division last season. That being said, I do hope they bring back the B feature for the class to give some of the slower cars a chance at a win or good finishes, as well as the confidence needed to run up front. Just hope the more expierienced guys exhibit patience with some of the slower cars and dont tend to run them over if it takes a lap or two to complete a pass. 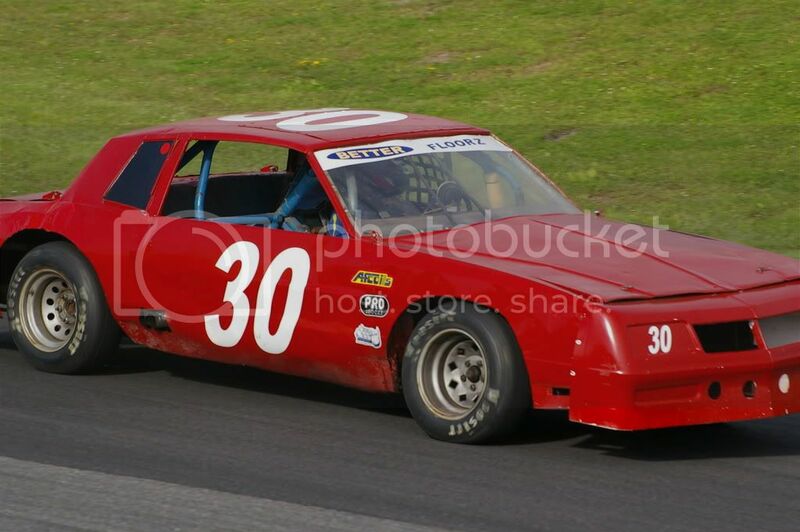 I would suggest we might see car counts somewhere in the 35 range, so if we start 24 for a feature I hope non qualifiers arent forgotten and get a little B feature of their own. Did they say if they are combining the point funds from 08 for Pure Stock A and Charger for the 09 season? ? Anyone know that? run them all at the same time!that would be a great show! No they didn't, having 2 mini stock classes is pointless. Also that class wasn't a learning tool, I don't see what you learn by driving a "stock" 4 cylinder around that you cant even setup. Young drivers would learn a lot more from the pure stock class. I think it is a less intimidating class, gets ppl in there, BUT it was needed....we just didnt have the counts for two classes! no rule changes but the sunset tire was thoroughly rejected (thanks to ron mace) so at least we will be running the tires that cost less and perform better. i'm so glad they dropped the sunset tire idea, they are junk and way too expensive. what about shocks?28 is what they use to start so 7 more would not be that bad! Last I heard Sunset was considering "Hoosier". I assumed that to mean the 780, the new ones not the retreads. If thats what you are calling junk and expensive, you are way off. $135 each WITH TAX the price you pay, and they don't de-tread. I don't want to hit the wall hard because I saved 15 bucks on a retread. Killer the charger is a real shame. I hear some of you saying that the guys can move up. Yup some with the money and or the right car can. Those without the money and the skill CAN'T and those are the guys the lower divisions were made for. It will be a next loss of drivers for Barrie. Think everyone, will you INCREASE the car count by not having chargers? NOPE... Will you decrease your car count, YUP!!! So considering everyone is short on cars and drivers, please tell me the logic??? Also that class wasn't a learning tool, I don't see what you learn by driving a "stock" 4 cylinder around that you cant even setup. Young drivers would learn a lot more from the pure stock class. Plain and simple, you learn how to race. True, you won't get much useful knowledge about setup, but you learn about handling characteristics, how to drive in traffic, respecting other drivers and cars, line up procedure, how to regain control of a car, etc. If its just a money issue, cut back on the payout to the Charger. That will encourge guys to move up, while still providing a place for people to start out!! Worse that will happen there, is not being able to aford the payout will kill the class, which is no worse that what we have here anyhow. i think it has more to do with a time frame!some night's you wouldnt get out of there till 11:30 or 12:00 way to long of a show!